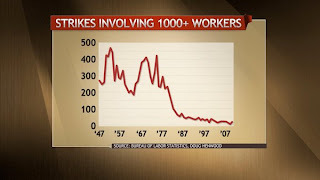 The Sunday, April 29, edition of MSNBC's talk show, "Up with Chris Hayes," aired a fascinating discussion on the fate of the strike over the past 30 years and the future of workers' collective action. The discussion hosted by Chris Hayes included long-time trade union intellectual and activist, Bill Fletcher Jr., president of the American Federation of Teachers, Randi Weingarten, Congressmen Jerry Nadler, and Marina Sitrin, of the Occupy Wall Street Legal Working Group. 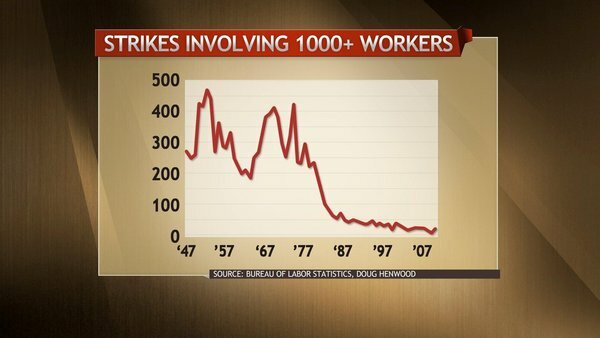 The context for the discussion was the call for a May Day general strike by Occupy Wall Street organizers, but the discussion quickly turned to a broad consideration of American workers' loss of the power to strike effectively. 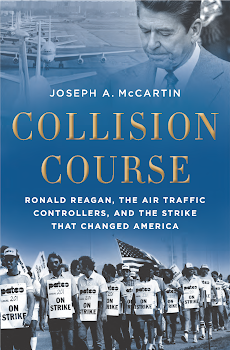 In that discussion Bill Fletcher Jr. strongly recommended Collision Course for clarifying how we got to where we are today. Check out that discussion here.